"Rachel's Tomb: An Alien in Her Hometown?" 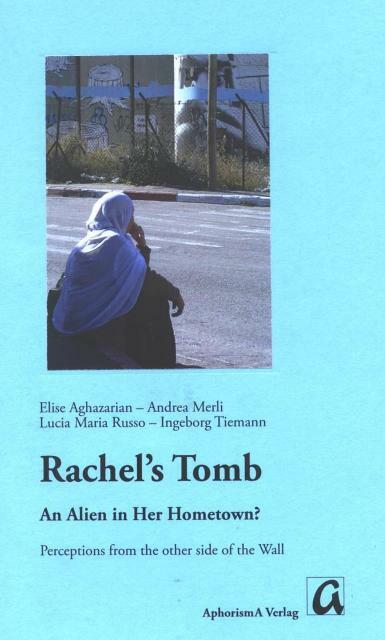 is an added asset to the University Library, with copies received from Lucia Maria Russo, on behalf of her co-coordinators in the research project about the tomb of Rachel. Former faculty members and staff Elise Aghazarian, Andrea Merli and Ingeborg Tiemann join Lucia in this novel undertaking exploring the significance and importance of this sacred place venerated by Jews, Christians and Muslims alike. Discover much more - come to the Turathuna Centre and have a first encounter with this engaging reading material - and why not? Loan it out...!!! MABROUK, AND THANK YOU FOR YOUR GIFT!